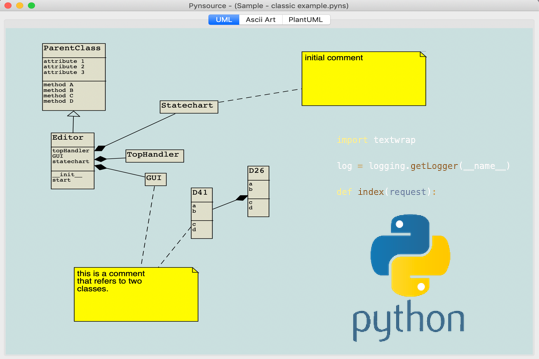 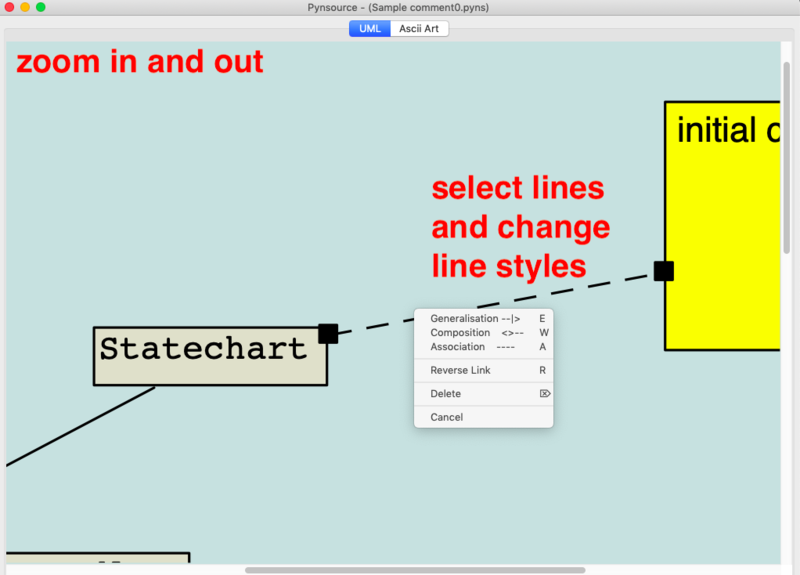 After importing some python files, they display as UML which you can drag around and re-arrange. 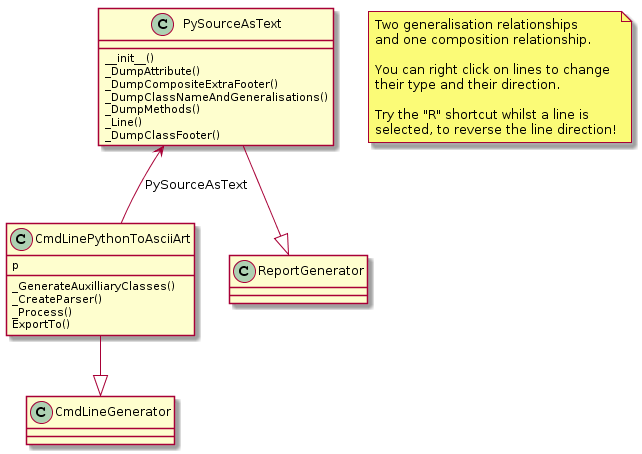 Toggling between UML and Ascii UML views. 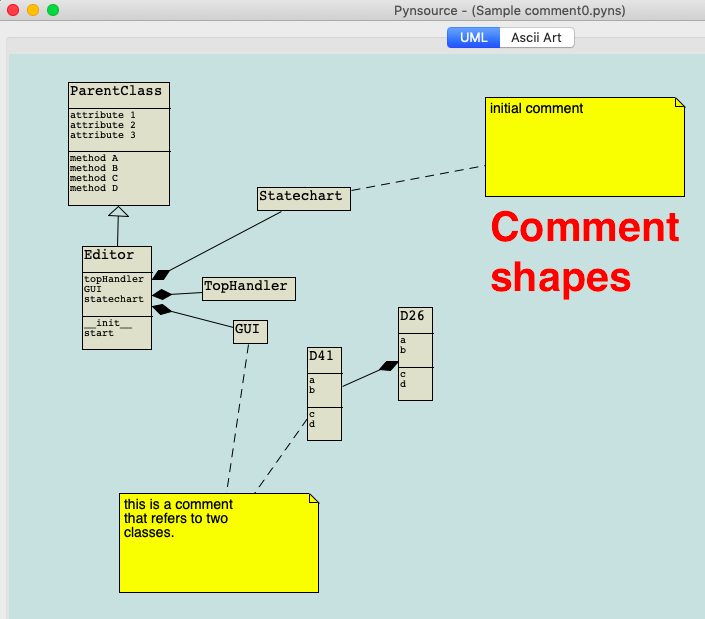 Using the "colour sibling subclasses" feature to help understand the relationships between nodes on your workspace.